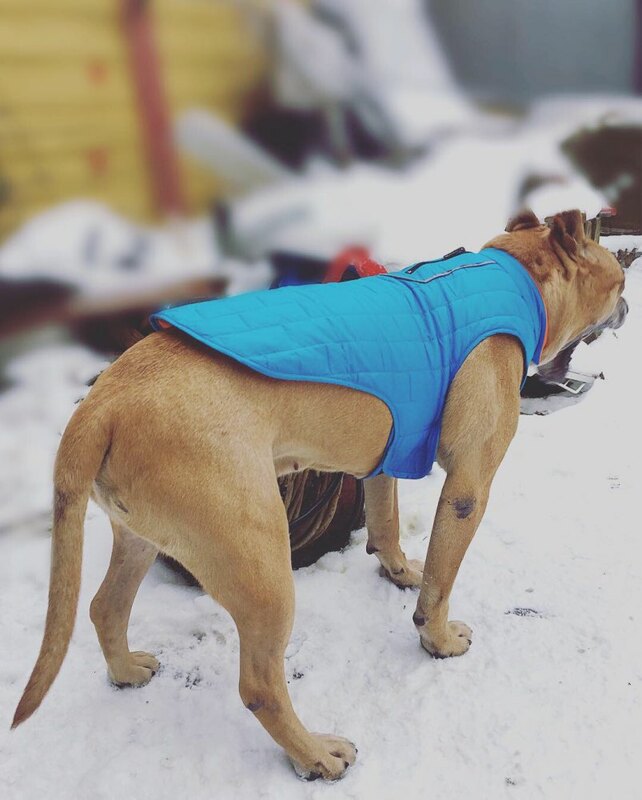 The Freeze-Proof Fido Reversible Waterproof Dog Jacket is just the thing for canines who need some help withstanding the cold temps. 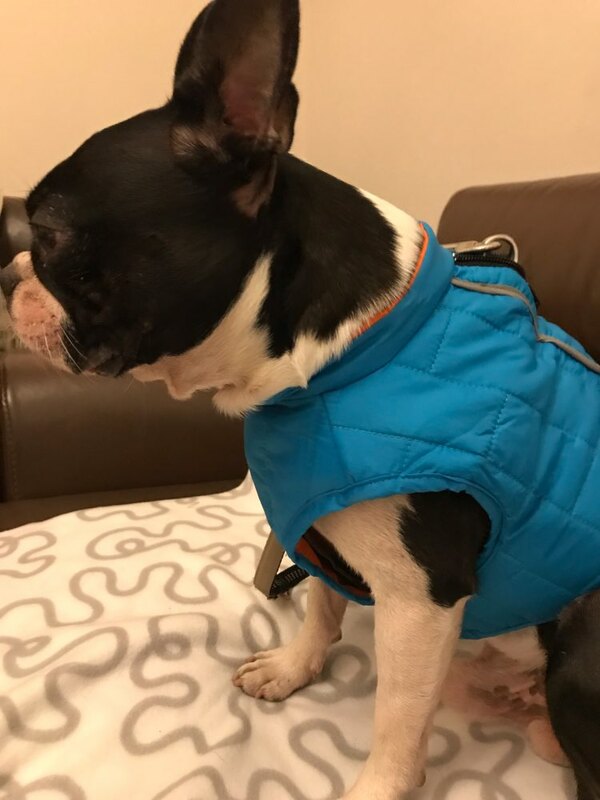 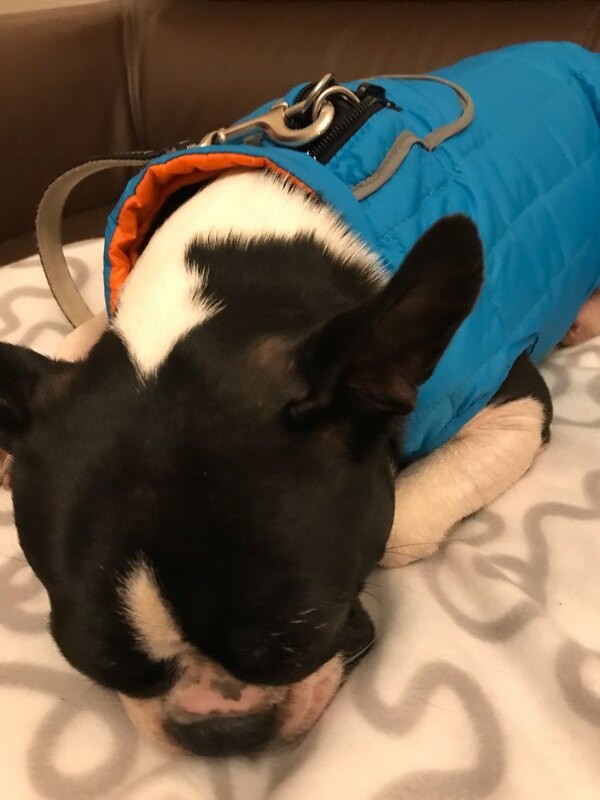 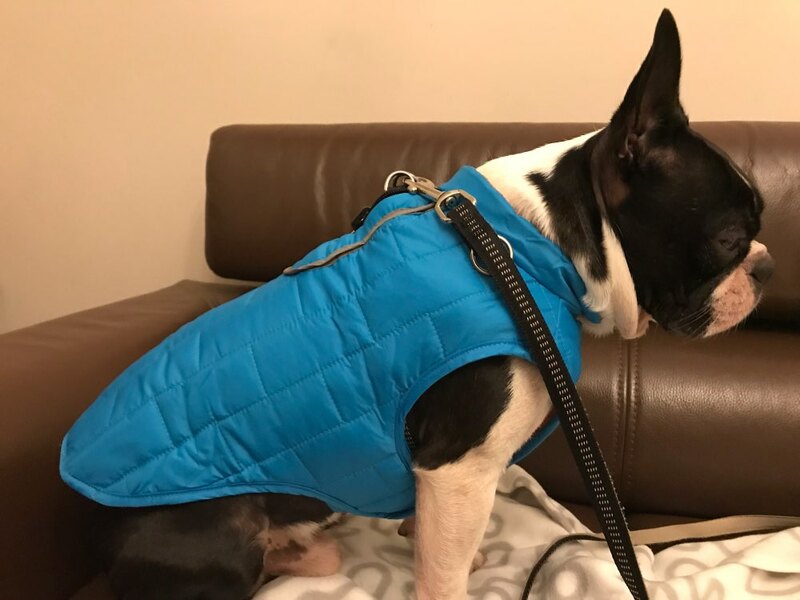 Made of waterproof, weather-resistant quilted polyester with an inner layer of polypropylene cotton, this jacket is designed to keep away moisture and retain your pup's body heat. 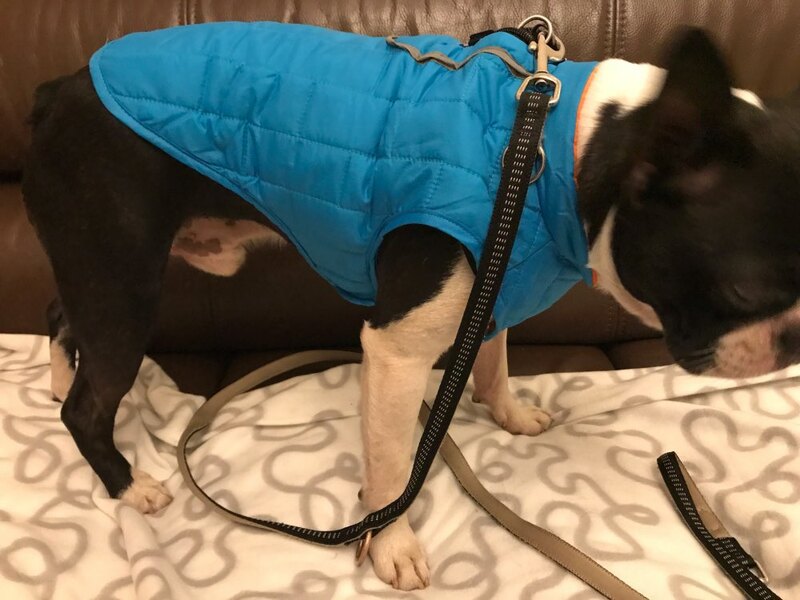 A zippered harness hole allows you to easily clip in your dog's leash for walks, while the reflective accents allow for added visibility. 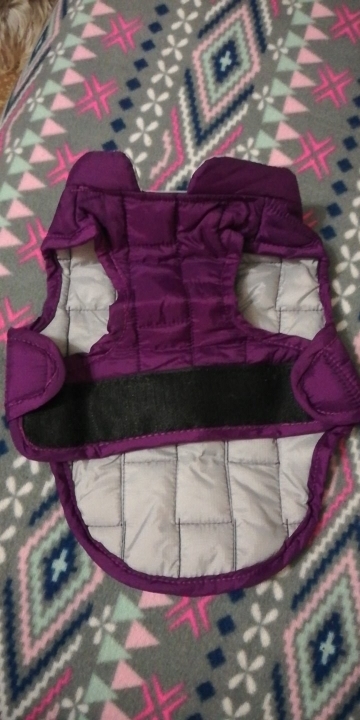 Velcro attachments allow for slight size adjustments and make taking this jacket on and off your dog a breeze! 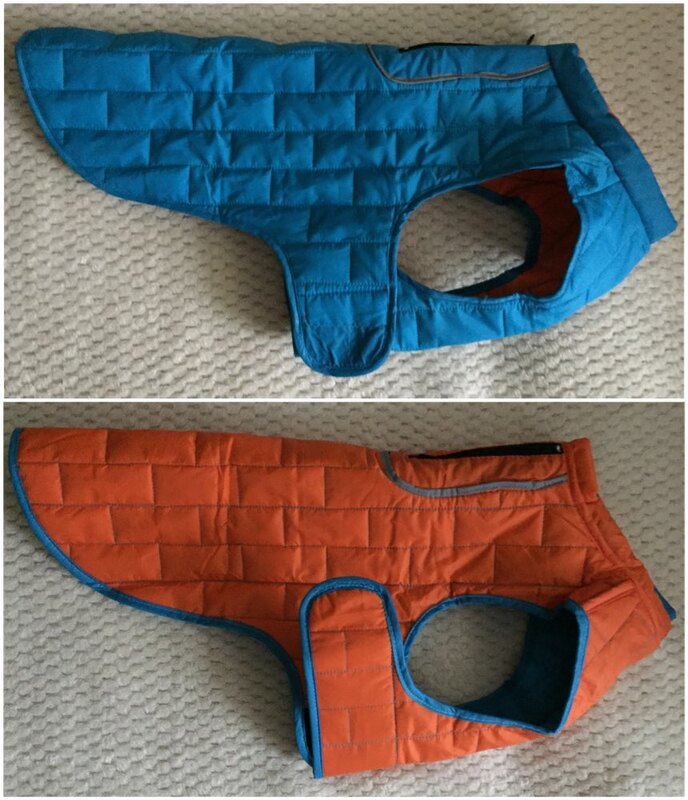 Each jacket is reversible, allowing for two color options depending on the day and your mood! 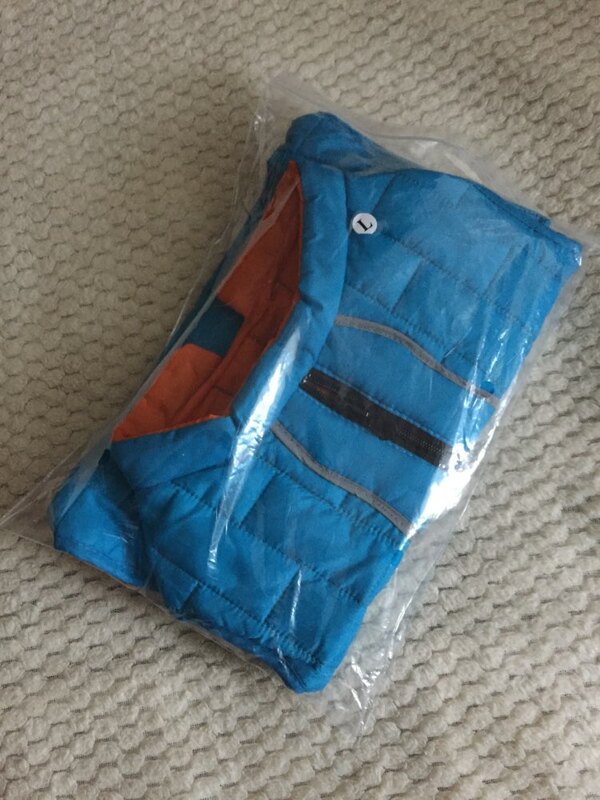 Small 9.5" 14 - 20" 12.5"
Medium 13" 19 - 27.5" 14"
Large 19.7" 25.5 - 34" 18"
XL 22" 29 - 38.5" 20.5"
XXL 27" 34 - 46.5" 25"
Five stars for quality. 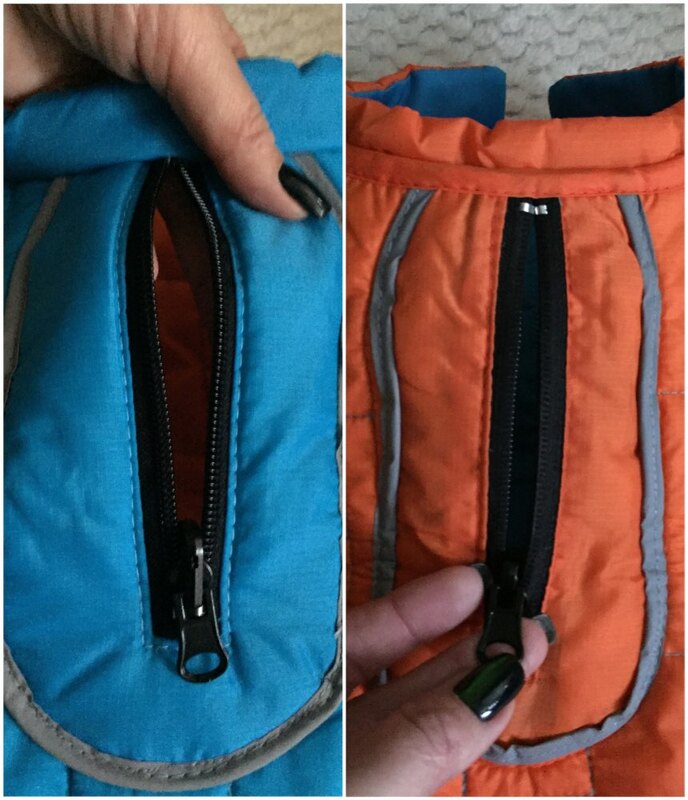 Neat seams, no threads sticking out, no gross smell. 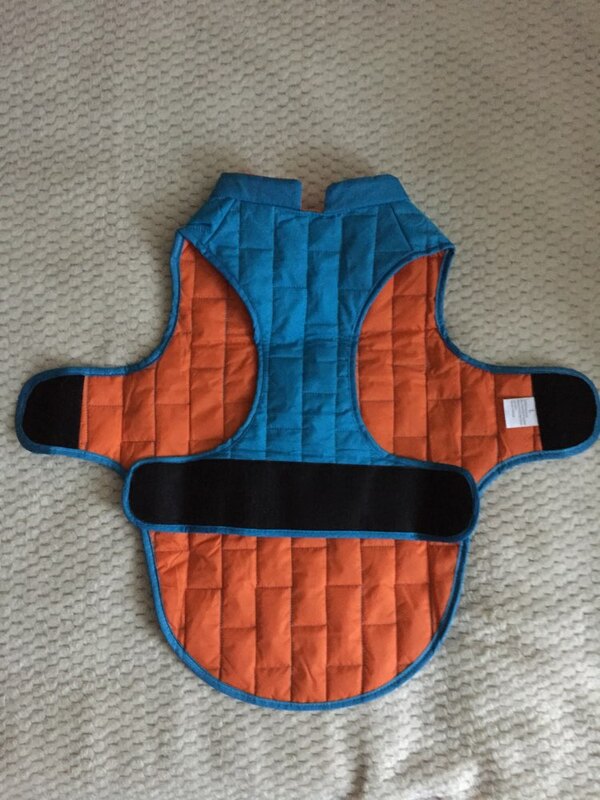 Has two sides with waterproof fabric, and on the inside a thin padding of polyester. 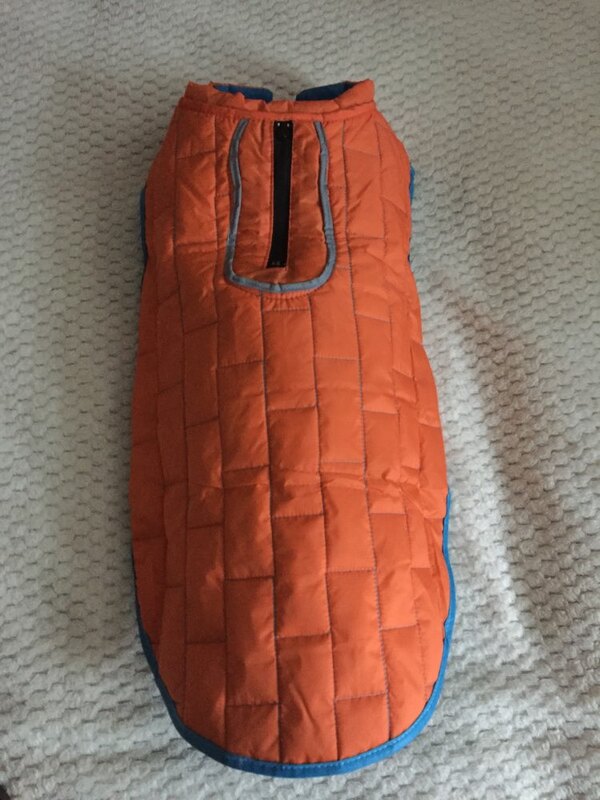 Now about the size. 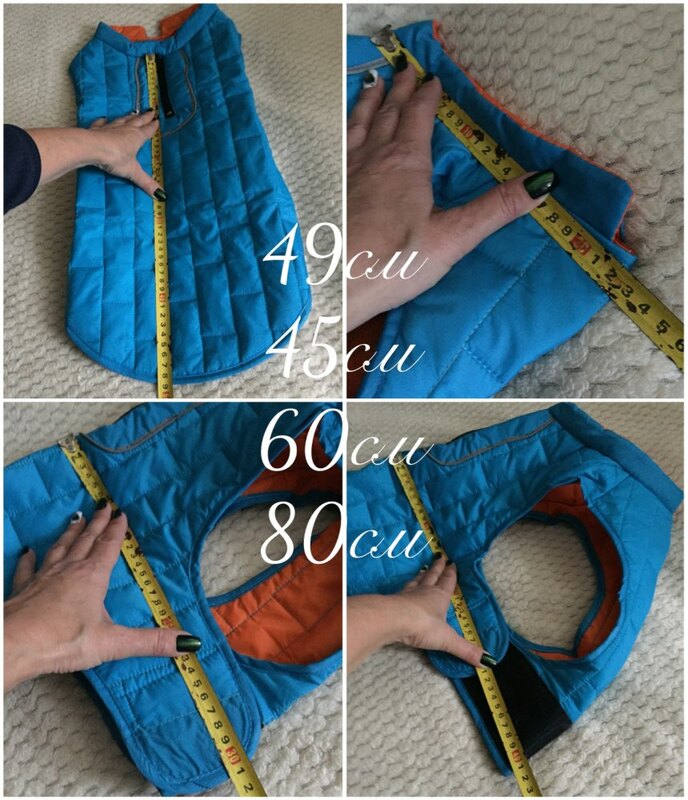 Dimensions had a little deviation. 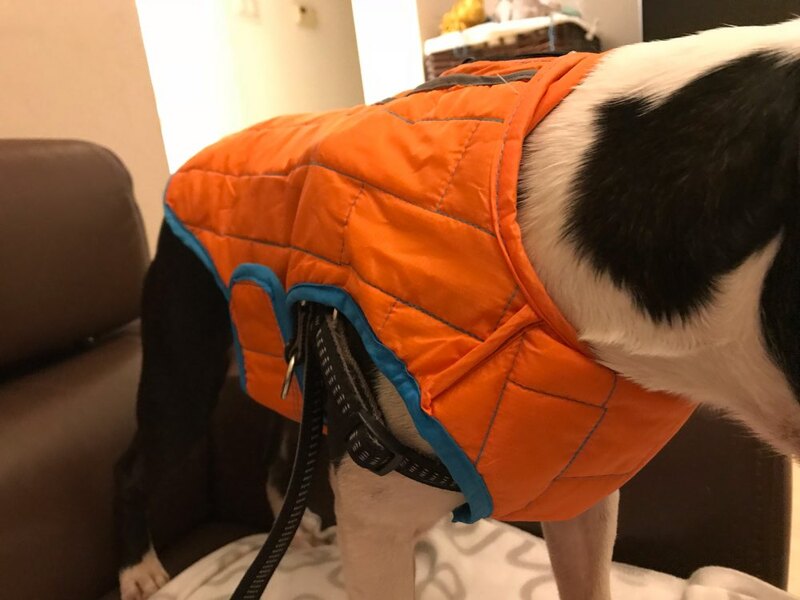 Our Staffie has length of 50 cm to shoulder, but the coat was too small (this size is more suitable for dogs with 45cm length). 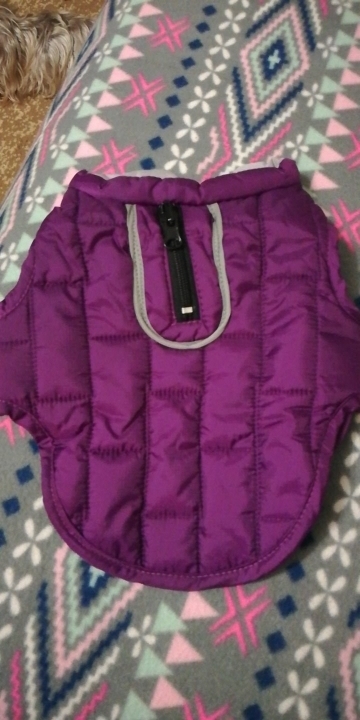 S size for my Yorkie was too big, Also, sewing looks crooked.